Can a forgotten love be rekindled before it is too late? The de Bar siblings continue to be cursed by the old witch, Hecuba as Cinderella's memories of her past are stripped away. 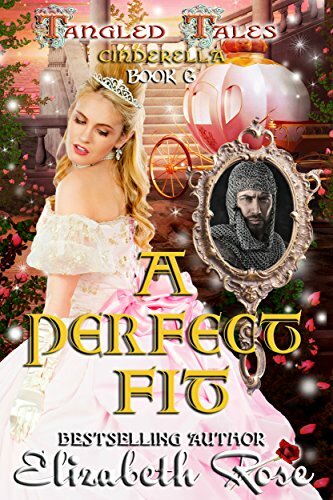 Living with an evil stepmother and two mean stepsisters, Ella can't remember who she is, and neither can she remember her true family or even Sir William, the man she loves. Sir William Fremont returns from war to reclaim his castle from his brother and win back the hand of the woman he loves. But along the way he makes a stop in town where he sees Lady Ella de Bar, the woman he almost married before he left to campaign for the king. The odd thing is, Lady Ella is dressed like a peasant and doesn't seem to know him. The longer the curse continues, the more people forget Ella exists at all. And if anyone tells her about her past, the curse will never be broken. William sets forth with the challenge of trying to break Ella's curse and win back her heart. But when his memories of her start to fade as well, it looks as if all hope is lost. Can true love break the barriers of dark magic before William and Ella's past relationship is forgotten forever?